Using a pay per head provider has many advantages that can help you get ahead in the industry, attract new clients, and keep the clients you currently have. But even if you have a pay per head company working for you, you could incur in mistakes that could cost you money if you don’t know how to properly take advantage of its services and tools. 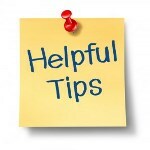 Here we provide you the top five tips for successfully using a pay per head company and avoid money-costing mistakes. 1. Choose your pay per head provider wisely: There are lots of pay per head organizations out there and each one promises to be the right one for you. How do you identify those that are the real deal from those that can’t keep up their promises and those that are downright awful? You can avoid getting involved with the wrong service by doing your research thoroughly. Read online reviews, ask lots of questions, and be willing to pay a little more for better service. If you are selective about your PPH service, chances are you won’t end up disappointed. 2. Don’t let your players get behind in payments: When it comes to being a successful bookie in the pay per head industry, you have to be firm with your clients. Never allow them to get behind on what they owe you, even by a little bit. Chances are, if you do, the money will get harder and harder to collect, and you may never see it. Plus, while you are stuck waiting on the funds you are owed, you still have to pay your winners.With our real-time reporting tools, you will know in real time what and when your players are betting so you can always know how much they owe you and ask them to pay on time. 3. Pay your winners promptly: Just as you are firm with your clients, you also have to be strict on yourself. This will keep you from being caught in a financial bind where you owe a lot of money at once, plus keep in mind that word of mouth is great advertising for attracting new players. If you always pay promptly and fully, you’ll soon grow a great reputation. If you don’t pay quickly, however, this will soon be known, and you are likely to lose business.4Check Your Player Reports Regularly: Not being aware of what your players are betting is an easy way to find yourself in hot water. It is a good idea to perform a thorough player analysis at least once every three months. This will help you to see which players are bringing you the most revenue and to determine who to keep and who to ditch. It’s always a good idea to try encouraging your small betters to make larger. With our real-time reporting tools you will be able to know how much you owe and thus you can avoid embarrassing situations that could drive your bettors to leave you as their preferred bookie. 4. Check your player reports regularly: Not being aware of what your players are betting is an easy way to find yourself in hot water. It is a good idea to perform a thorough player analysis at least once every three months. This will help you to see which players are bringing you the most revenue and to determine who to keep and who to ditch. It’s always a good idea to try encouraging your small betters to make larger wagers and to get rid of the winners. Our real-time reporting tools work both ways so you will be able to know how much you owe and thus you can avoid embarrassing situations that could drive your bettors to leave you as their preferred bookie. 5. Don’t be afraid to ask for help: Finally, if you are ever in doubt about what to do in a particular situation or have any other business-related questions, don’t be afraid to ask your pay per head provider for help or advice. A good service will be more than willing to provide it to you and will have a knowledgeable, experienced staff eager to help in any way possible.